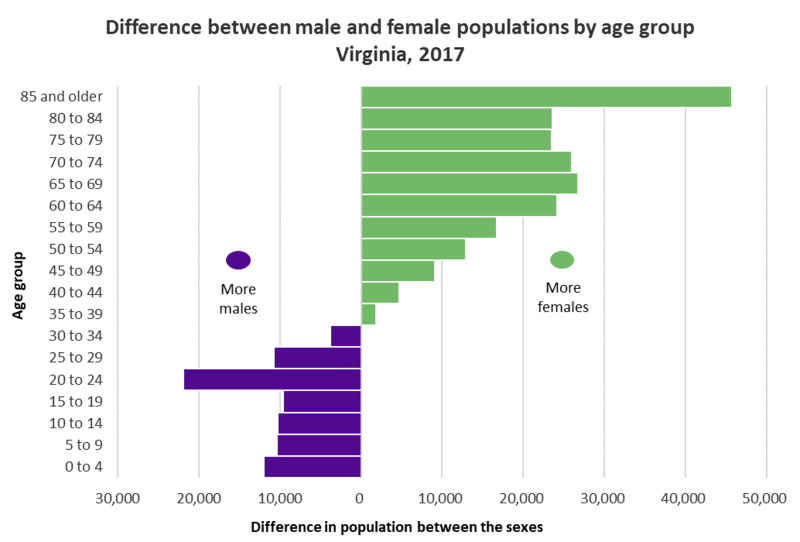 Men outnumber women in Virginia until they reach their mid-30's. After that, women outnumber men until very late in life. Michael Pope reports on the gender gap at the end of life. Women in Virginia are more than twice as likely to reach the age of 85 than men. That’s according to Kathryn Crespin at the University of Virginia, who says women are twice as likely to face disability in old age and three times as likely to face Alzheimer’s. But men are catching up, closing the gender gap at the end of life. And that could end up creating more pressure on government services, which ends up being the funding source for many people who have burned through their savings and need financial help to afford long-term care services.